Find out what percent of the shopping purchase takes place before customers walk in the store, and why 88% of customers surveyed avoid stores during the holidays. 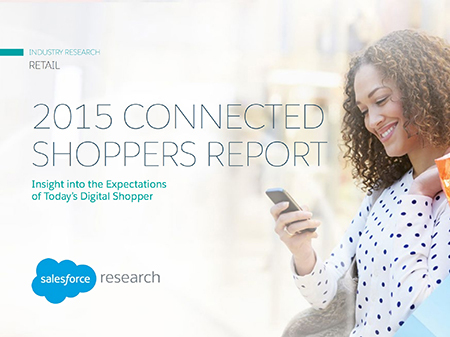 This survey examines current attitudes, habits, and use of technology of shoppers to find out how technology is changing the shopping experience — and accelerating the pace of innovation in retail. Insira seus dados e baixe o e-book! It’s no secret that technology has changed the shopping experience — but what is surprising is the pace of innovation in retail. Salesforce surveyed shoppers to find out more about their current attitudes, habits and use of technology — such as what percent of the shopping purchase takes place before customers walk in the store and why 88% of customers surveyed avoid stores during the holidays.